Both electronic and paper versions of the book will be published in 18 November 2014. The cover image will be available soon. It is now a decade since the publication of The New Barbarian Manifesto. That book foretold of an increasing divide in the world between the Mobile Global Elite and those “old world” citizens who were still locked into decaying economic systems (both democratic and not) where their well-being was inexorably tied to the fortunes of a fast faltering state. The first decade of the new millennium has shown this hypothesis to be uncannily accurate. The Manifesto’s message was quite simple: the 20th century, the century of the masses, was over. Even the holy grail of popular democracy was not going to stop macro-economic forces from forever changing the micro-economic lives of each individual. Just like the inevitability of the sun raising in the east each morning, no individual, politician, religion, or political movement can stop these trends from impacting everyone’s life. However, what is different is the increased capability of each individual to respond. Most people will continue to rely on their elected officials or others to stop the sunrise, but they will become increasingly frustrated and angry when this doesn’t work. These individuals will eventually wilt of economic sunstroke. Some will apply their own “economic sunscreen” and will manage to survive the onslaught of the sun’s rays until such time as their bottles runs dry. The New Barbarians, on the other hand, teach themselves how to build economic solar panels and thrive! Since penning the original Manifesto, Ian Angell continues to expand upon his theories articulated in the Manifesto while lecturing at the London School of Economics. Unlike many academics, Ian takes the non-populist path and strives to see the world as it is and how it predictably will be, rather than as a fantasy utopia that the general public wishes it to be. His observations have been picked up by other journalists and writers such as Thomas Freidman in his popular book, “The World is Flat”. Meanwhile, on the other side of the Atlantic, international tax and immigration lawyer David Lesperance read the Manifesto and recognized the implications of these predictions to the lives of his clients. Over the past decade, David has applied these theories to his practical real life legal work. He recognized that a lawyer’s real value comes in not only dealing with the crisis at hand, but also arming clients with the necessary weapons and shields to deal with what could possibly happen in the future. Almost inevitably over the past decade there was a meeting of their respective theoretical and practical minds, and a friendly albeit infrequent e-mail relationship resulted between the professor and the lawyer. Then one day in October 2008, on one of David’s frequent visits to London, we finally met face to face. Over a very enjoyable lunch at the Yauatcha restaurant in Broadwick Street, we discussed the possibility of a collaborating on a new updated edition of the Manifesto. Much discussion has taken place since that lunch about how to move forward, and this website is the first public step towards making this publication a reality. In general, our message is that the collision of looming demographic realities, short sighted political decision-making, and the “flattening effects” of new technology have rewritten all the previous rules and commonly accepted conventions. The speed of change is unprecedented; and “the world as we know it” is not just dying, it’s already dead. The 2008 global financial crisis and the near meltdown of the interlocked world banking system are a vivid demonstration that ‘things are different’. However, many people whether out of willful blindness or a child-like fear of dealing with change watch each news-report for a sign that “the temporary storm has passed and everything is returning back to normal”. Meanwhile they still vote in politicians who claim an omnipotent power to bring in “Change they can believe in”. For good or bad, the world of the 20th century is gone. For politics, governments and economies, there is a new reality. In an effort to describe and explain what has happened, what is happening, and what will inevitably happen, we have launched this website and are writing this new book, The Flight of the Golden Geese. These are lofty goals, and in order to reach them we have decided to write this book in a collaborative manner with the help of like-minded souls. We seek your input, your ideas, your suggestions, your challenges and your criticisms. At the end of the day, we will have to pull it all together, edit and publish a manuscript, but we are looking forward to the journey with you as much as we are looking forward to the destination of publication. Welcome to our vision of the future. 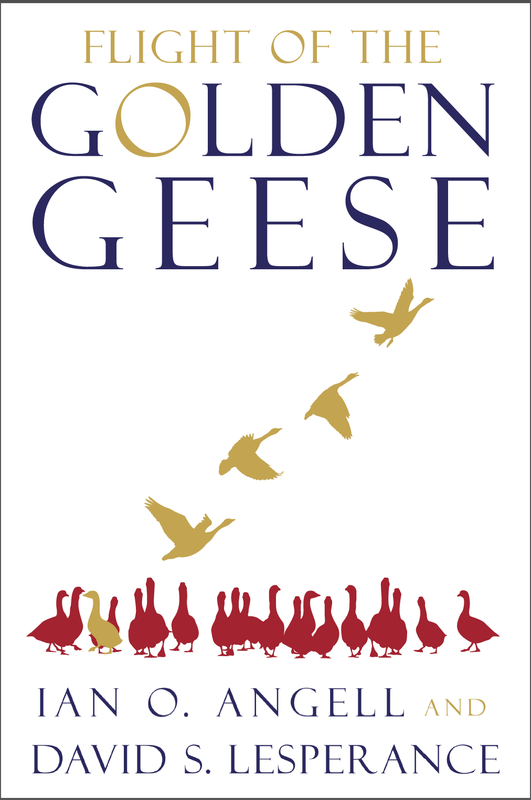 Welcome to the “Brave New World” of The Flight of the Golden Geese.